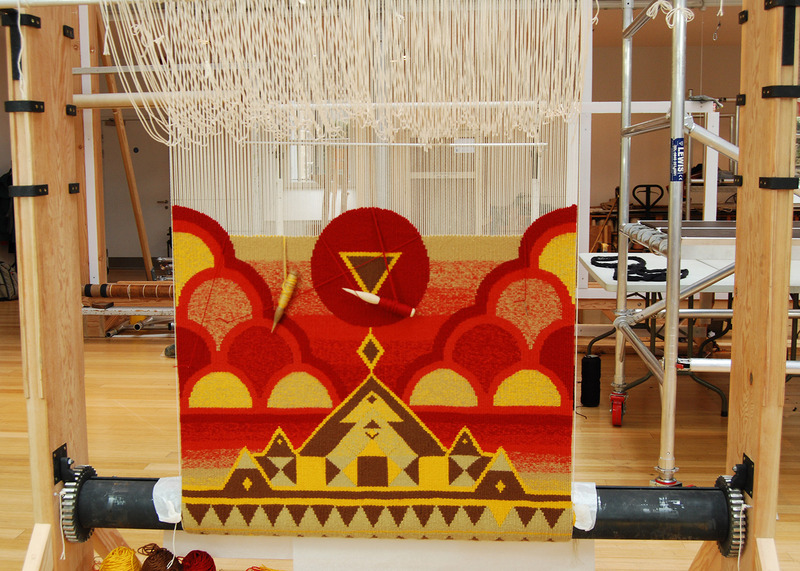 Ben Hymers first joined Dovecot as an Apprentice Tapestry Weaver in 2014. 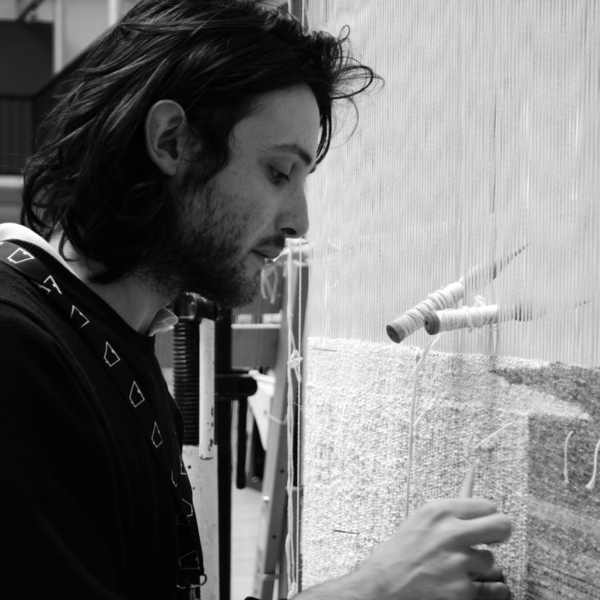 Now a qualified Weaver and Rug Tufter, Ben has worked on several high-profile projects, designs and exhibitions for Dovecot. He holds an MA (Hons) History of Art degree from the University of Edinburgh, studied Classical Painting Techniques at the Michelangelo Institute in Florence, and time-travelled in Channel 4’s BAFTA nominated 1940s House. Interested in the classical and the magical, Ben is also a Close-up Magician and his work champions the importance of traditional arts and crafts practices in an increasingly digital and distant society.